Welcome to the BIPVNO project webpage. Building-integrated photovoltaics (BIPV) are photovoltaic materials that are used to replace conventional building materials in parts of the building envelope such as the roof, skylights, or facades. They are increasingly being incorporated into the construction of new buildings as a principal or ancillary source of electrical power, although existing buildings may be retrofitted with similar technology. The term building-applied or building-attached photovoltaics (BAPV) is sometimes used to refer to photovoltaics that are a retrofit, i.e., applied to the building after construction is complete. Most building installations today are BAPV. 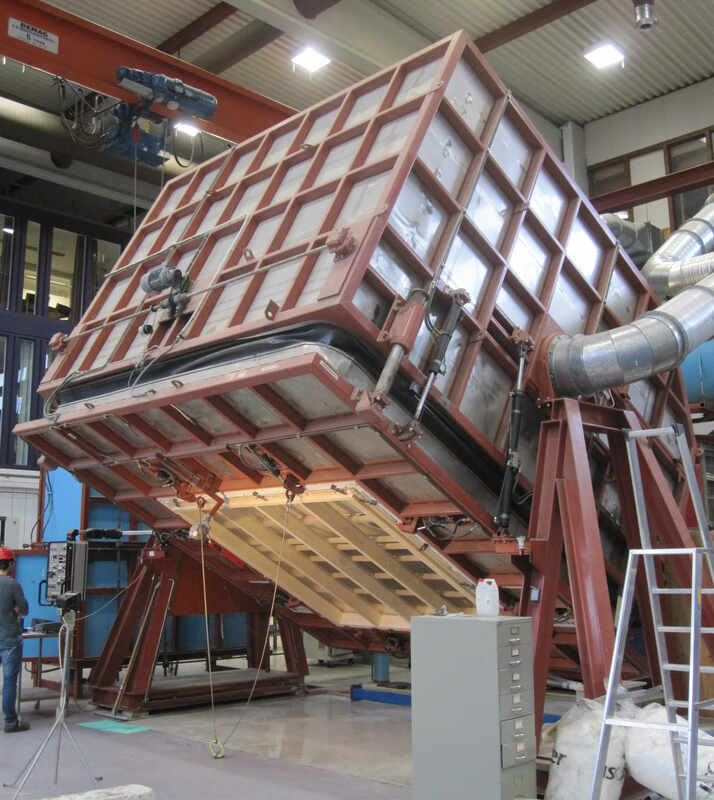 The BIPVNO project objective is to identify and develop robust BIPV-solutions that are suitable for Norway and to provide a scientifically founded knowledge-base for future developments of new materials, components and solutions that can be tailor-made for the Norwegian climate and solar irradiation conditions. 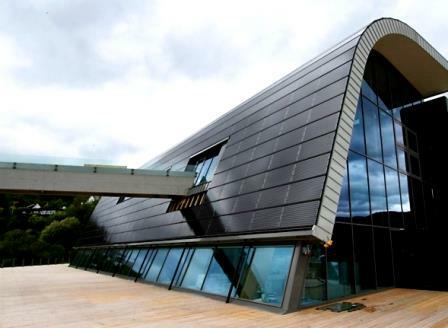 (Left) PV integrated in the facade of Oseana Art and Culture Center at Os outside Bergen. Source: Getek / fornybar.no. 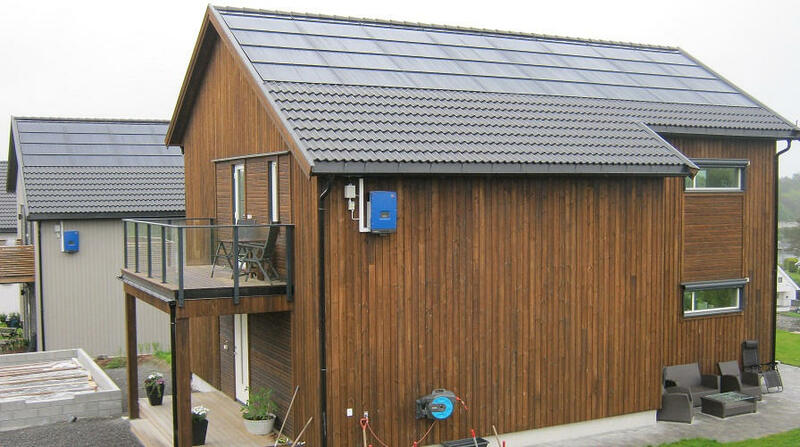 (Right) PV integrated in a tilted roof of a single family house at Skarpnes outside Arendal. Source: Own photo. (WP1) Performance of BIPV/BAPV-installations in Norway. More about WP1. (WP2) Technical integration of photovoltaics in buildings. More about WP2. (WP3) Challenges with snow and ice formation. More about WP3. (WP4) Solar irradiation issues related to Nordic conditions. More about WP4. Two PhD candidates will work with a focus on experimental laboratory investigations of building integrated photovoltaics with respect to durability and robustness, and advanced materials surface development for preventing snow and ice formation on building integrated photovoltaics. The main activities for BIPV Norway are: (WP1) Data collection and documentation, system performance evaluation, technical and architectural integration. (WP2) Developing robust components and solutions, accelerated aging and durability testing in Nordic climate exposure. Testing and investigating the link between aesthetic quality and PV efficiency, environmental assessment and carbon footprint evaluations. (WP3) Snow and ice influence on solar energy yields and impact on surface robustness and durability. Advanced materials surface development for avoiding snow and ice formation. (WP4) Effect of diffuse and variable spectrum radiation on energy production, and advanced materials and solutions for better utilization of insolation. 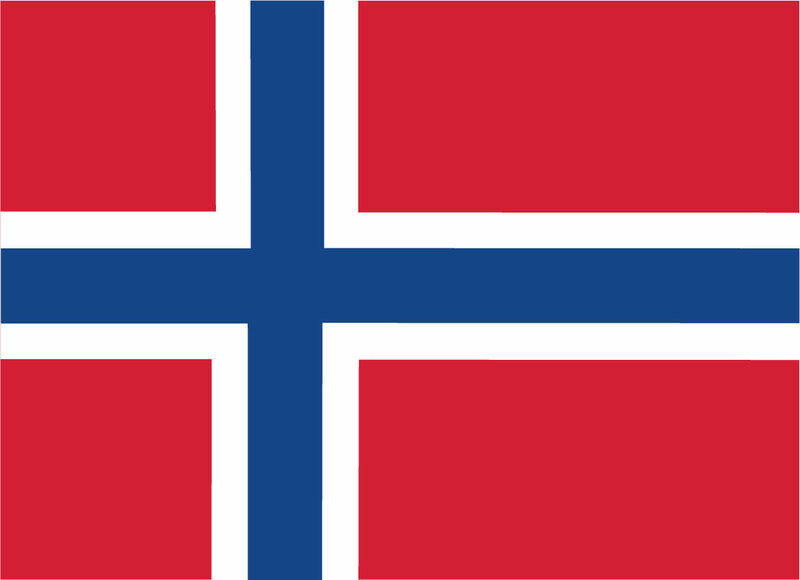 Although the BIPV Norway project focuses on Norwegian climate conditions and building traditions, the results will be of relevance and applicable also to other countries and geographical locations. International collaboration and participation at various stages in the project is anticipated. 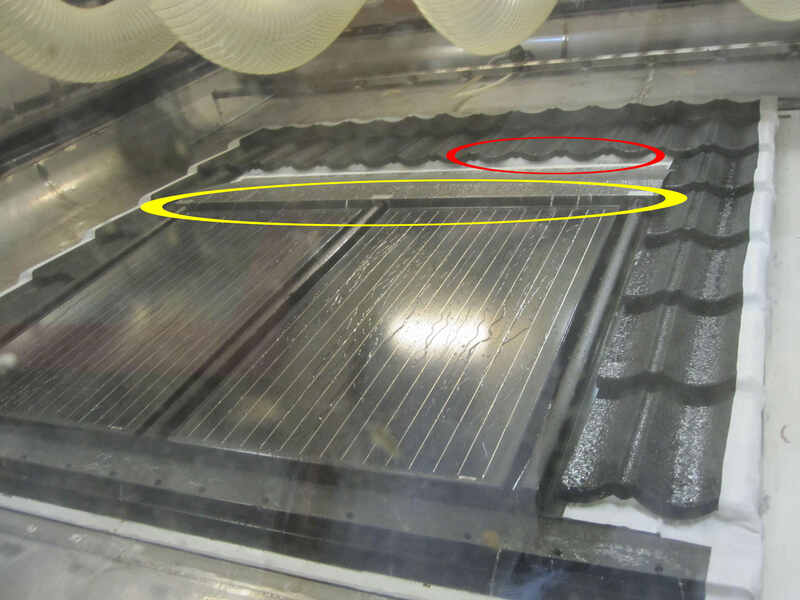 Impact rain testing of BIPV in laboratory. 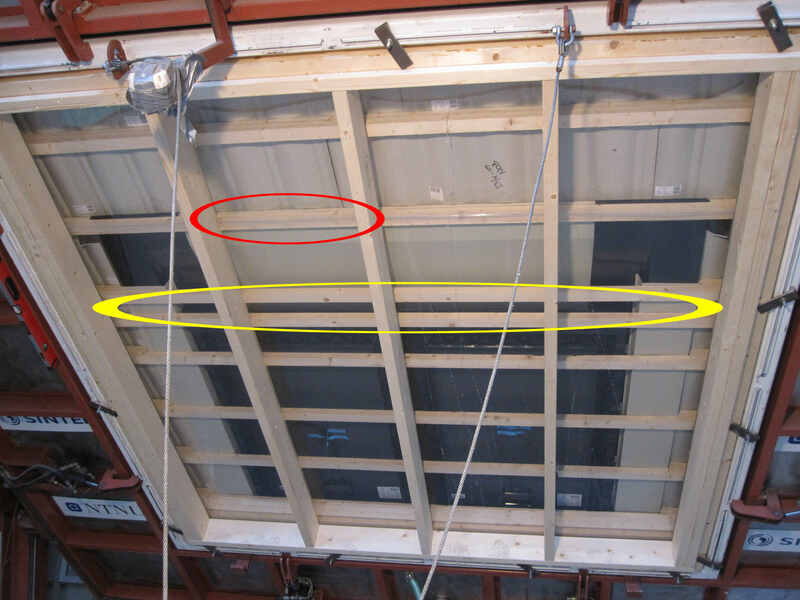 The marked areas indicate leakage points from above and beneath the roof. Source: SINTEF and NTNU. Norway is one of the countries taking part in the International Energy Agency Photovoltaic Power Systems Programme IEA PVPS, where several member countries partake in joint projects - also called Tasks - for the application of photovoltaic conversion of solar energy into electricity. The BIPVNO project is part of the ongoing Task 15 "Enabling framework for the acceleration of BIPV", where we have the opportunity to learn from other more developed European BIPV markets and at the same time provide input from our own building traditions and experiences. Relevant information from the IEA PVPS Task15, as well as links to other websites and reports of particular interest to the BIPVNO project, will be posted in the Resources section. Conferences where project results have been presented are listed in the Conferences section. Publications and popular-scientific articles resulting from the BIPVNO project are listed in the Publications section. The project had a successful kick-off meeting at Gardemoen the 26th February 2015. The day consisted of presentations of the initial project plans and activities by the different work package leaders, as well as group work with all the project partners to dicuss and adjust the contents and contributions in the project. The project partners meet at least twice a year for project updates and workshops. During the project meeting in Porsgrunn 21-22 November 2016, site visits were arranged to Isola (factory Porsgrunn), Statsbygg (University College Porsgrunn), and Elkem Solar (factory Heroya), to learn more about BIPV/BAPV products and systems. During the project meeting at NTNU in Trondheim 17 October 2017, a guided tour of the climate- and material testing laboratory was conducted. 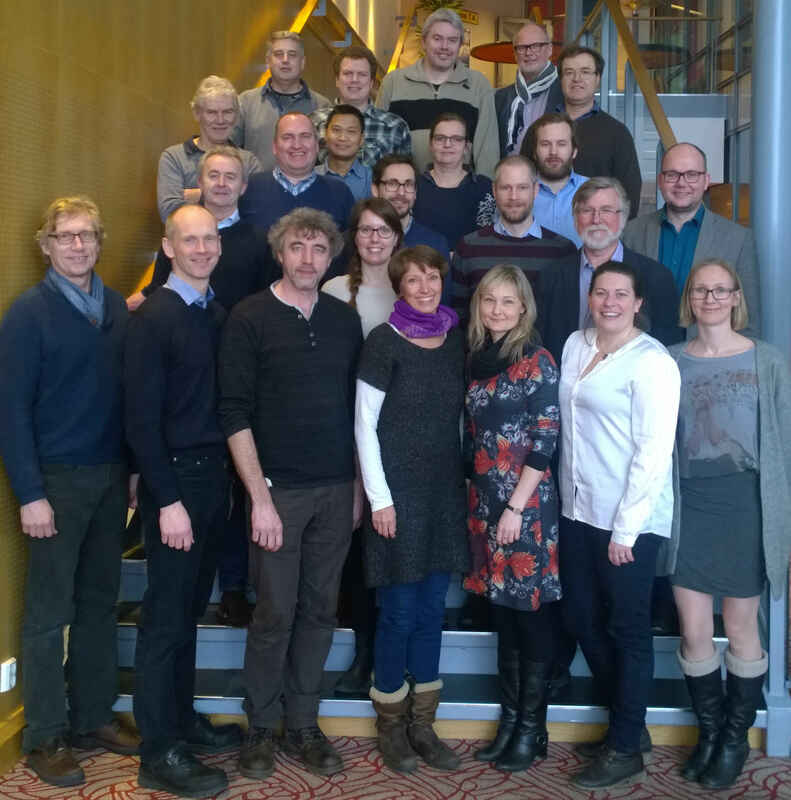 Group photo at the Kick-Off meeting, Gardemoen 26.February 2015. Group photo from meeting in Trondheim with a guided tour of the climate-testing laboratory, 17.October 2017. This work has been supported by the Research Council of Norway (RCN) and the partners Norwegian University of Science and Technology (NTNU), SINTEF Building and Infrastructure, SINTEF Materials and Chemistry, Institute for Energy Technology (IFE), Teknova, Statsbygg, Glass- og fasadeforeningen, Omsorgsbygg, Backegruppen, Rambøll, Asplan Viak, NorDan, Isola, Getek Solar, FUSen through the project ”Building Integrated Photovoltaics for Norway" (BIPV Norway). Link to the project on the RCN project database. Project meeting with laboratory tour at NTNU, Trondheim, 17 Oct 2017. WP1 results presented at 43rd IEEE PVSC conference in Washington DC, 25-30 Jun 2017. The BIPVNO project was represented in oral presentations at the Norwegian Solar Cell Conference 2017, Son, 9-10 May 2017. High interest in BIPV workshop at IFE on "BIPV products and solutions", with 22 participants. SINTEF and Teknova participated at the IEA PVPS Task 15 meeting at CIEMAT in Madrid, Spain.